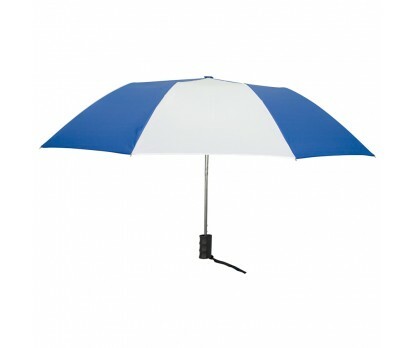 Personalized royal blue & white 42” arc auto open folding umbrellas can be head turners on a crowded and windy day! This umbrella attracts attention with its royal color profile and generosity. This means it can offer good coverage above head and can shift easily shift attention towards the person carrying it. 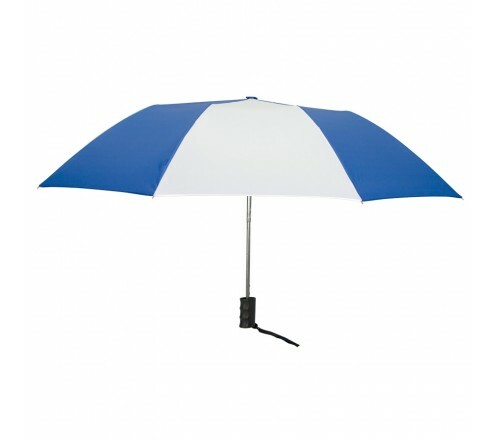 Features - 42” arc royal blue and white nylon/polyester fabric canopy. Automatic open function. Matching sleeve. Black finger grip handle. Dimensions - 42” arc folded length 15”. Imprint area - 7"W x 6.5"H.